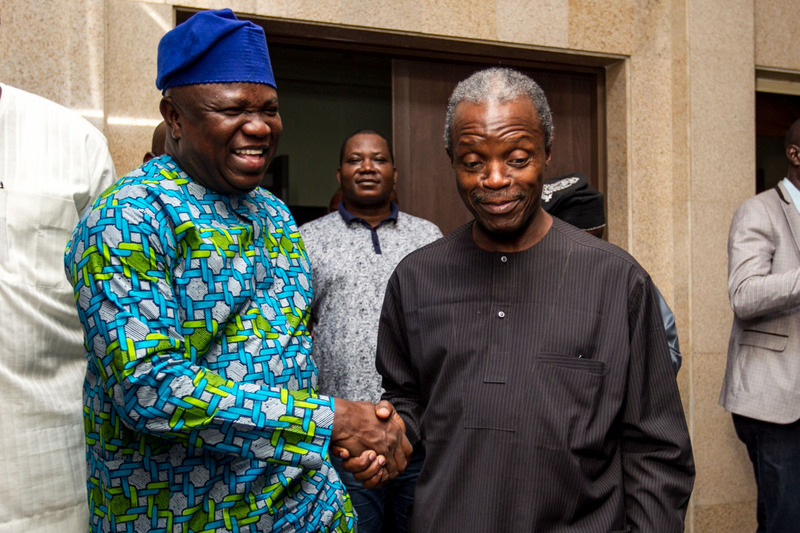 The Lagos State Governor elect, Akinwunmi Ambode, at the weekend paid courtesy visits to former governors of the state. 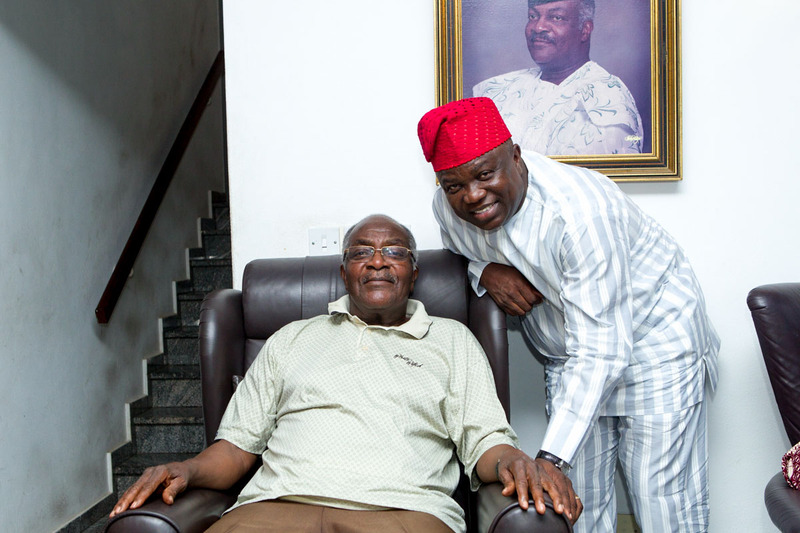 Those he visited include, Brigadier-General(rtd) Mobolaji Johnson, Real Admiral (rtd) Ndubuisi Kanu, Commodore Ebitu Ukiwe and the first elected civilian governor of the state, Alhaji Lateef Jakande. 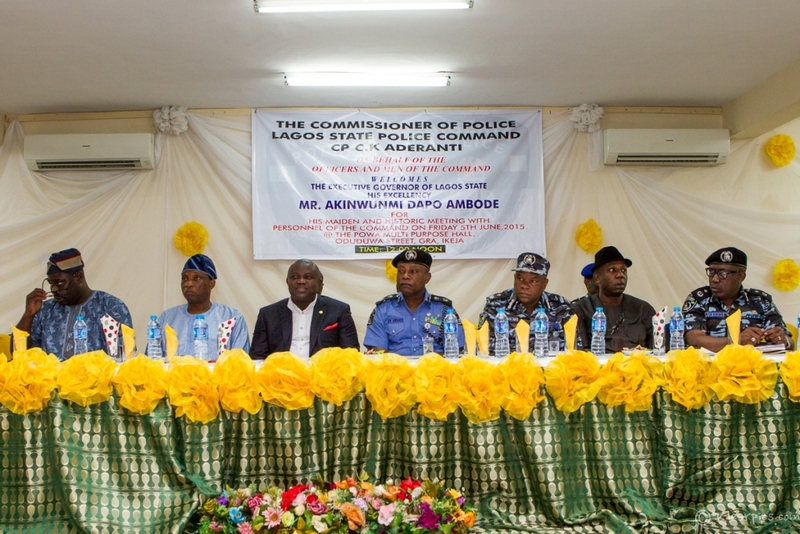 Mr. Ambode said during his that he came to pay homage and show appreciation for their support during and after the electioneering campaign. 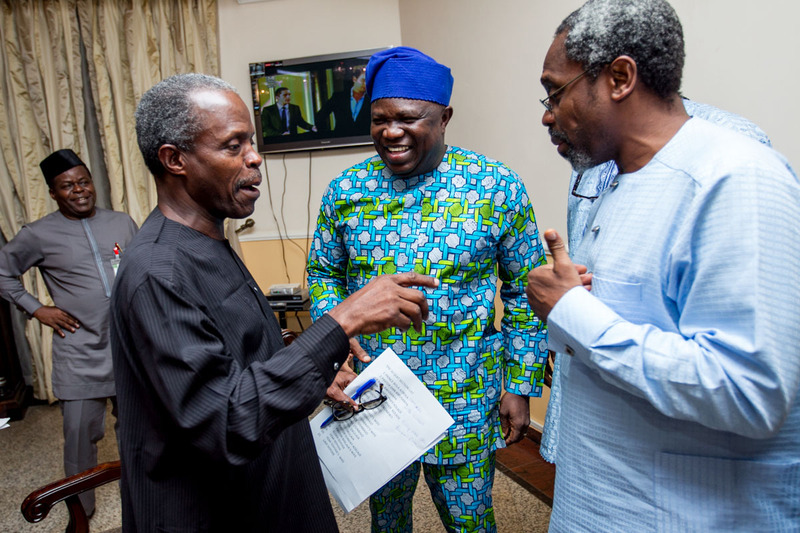 He solicited for their continued support, advice and prayers. 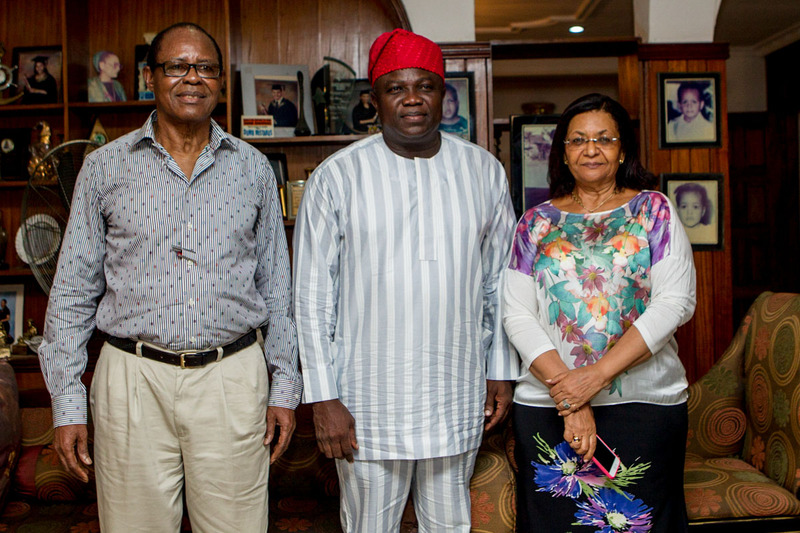 He also formally invited them for his inauguration on May 29, 2015. 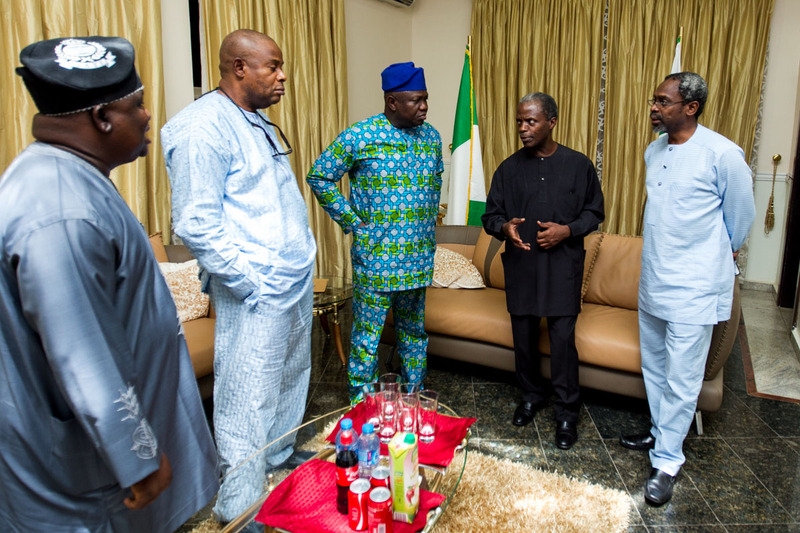 The former governors in turn prayed for the governor-elect, wished him well and assured him of their support. 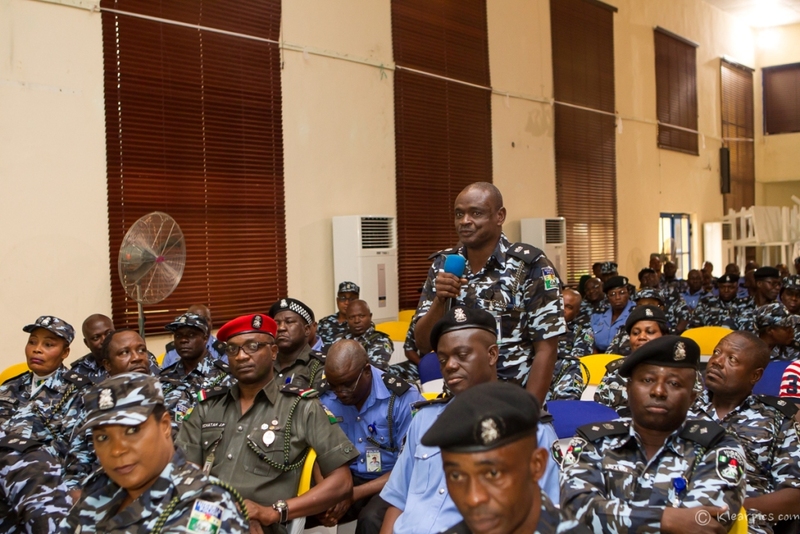 They also said they are always ready to play their fatherly role in the affairs of the state. 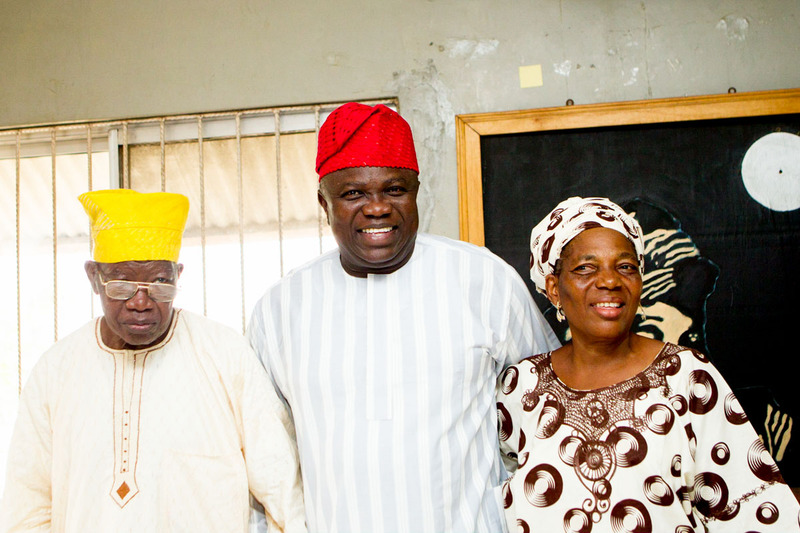 The All Progressives Congress (APC) gubernatorial candidate in Lagos, Mr. Akinwunmi Ambode, and his running mate, Dr. (Mrs) Oluranti Adebule, together with his entire campaign train, today paid a visit to the palace of the Oba Akran of Badagry Kingdom, De Wheno Aholu Menu-Toyi 1. 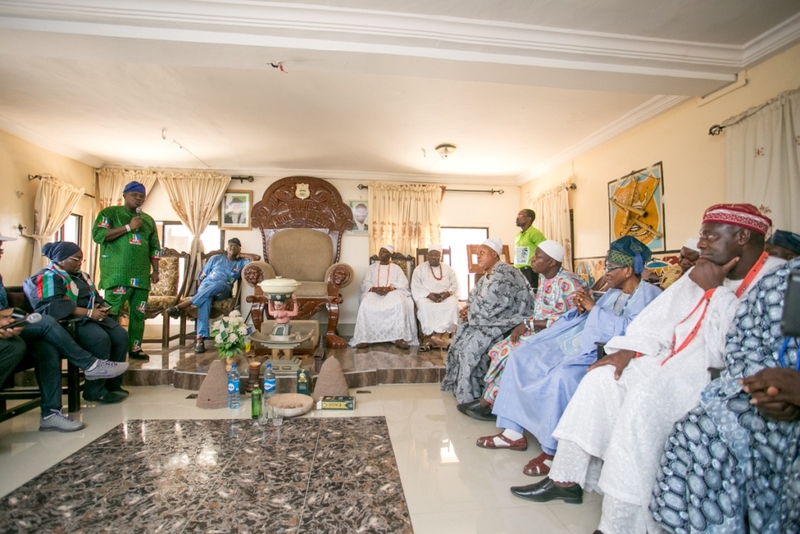 The visit was intended to pay homage to the Royal father and also to solicit his support, blessings and prayers to ensure victory in the forthcoming elections. 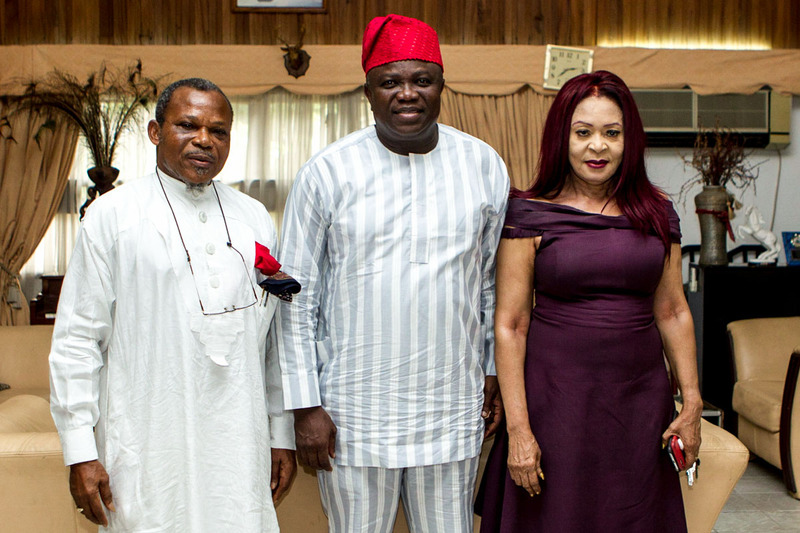 The Lagos state governorship hopeful said his visit to Badagry is a homecoming for him and he promised to keep on with the development of the Kingdom to reach internationally acclaimed standards. 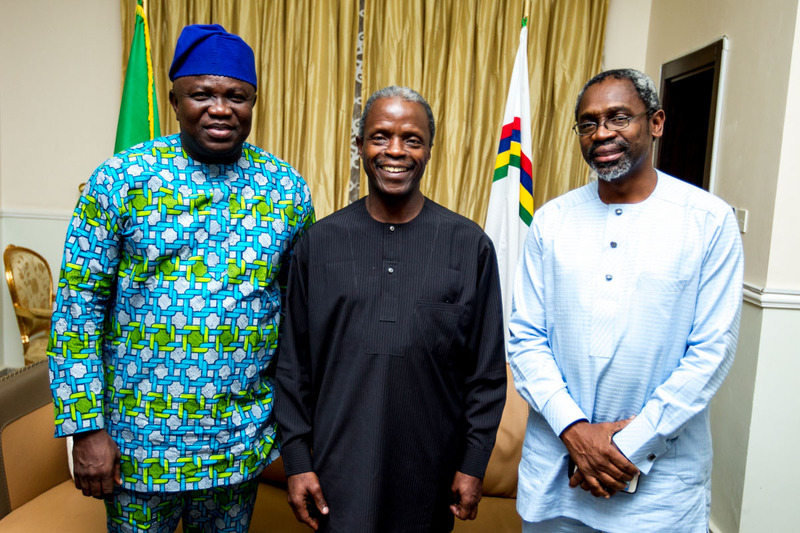 His Excellency, Governor Babatunde Fashola (SAN), drummed support for Akinwunmi Ambode by assuring them that he is “best man” to continue from where he had stopped, in an excellently way at that. 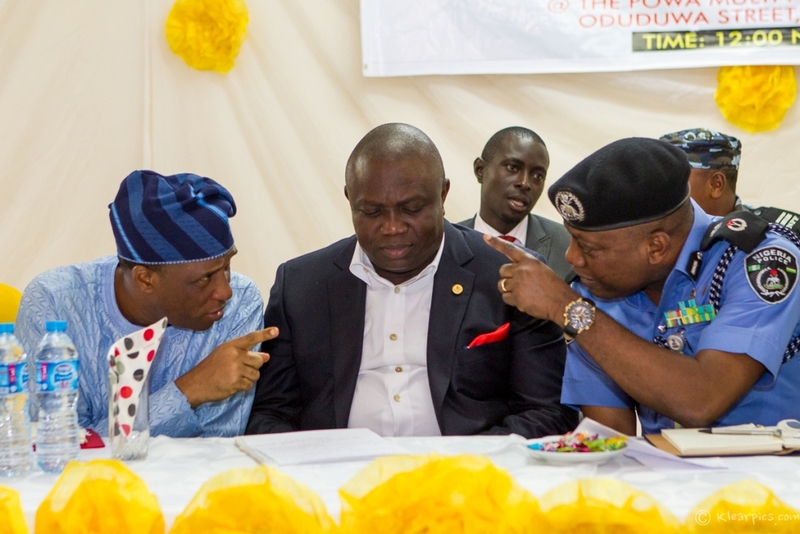 Afterwards, the representative of Oba Akran, assured Ambode that the votes of Badagry Kingdom in its entirety belongs to the APC. 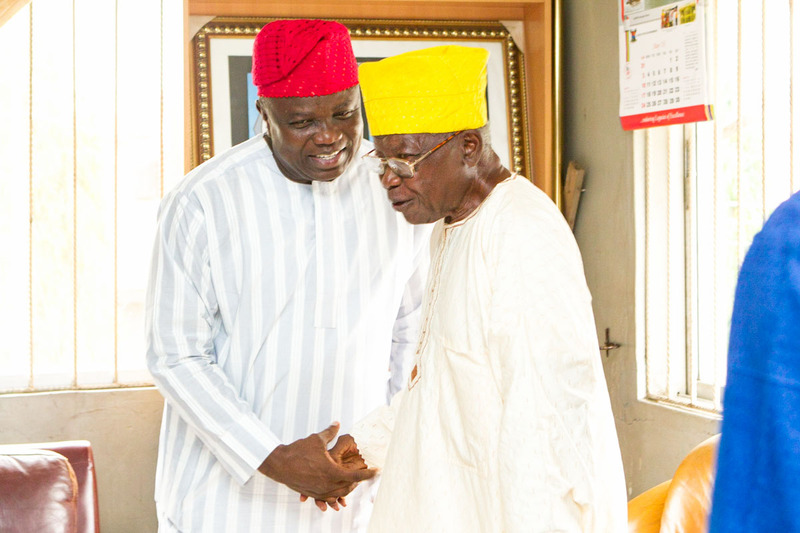 He sought Ambode’s attention on the elevation of the stools of the Chiefs, after which he bestowed royal blessings and prayers on the gubernatorial candidate and his running mate. 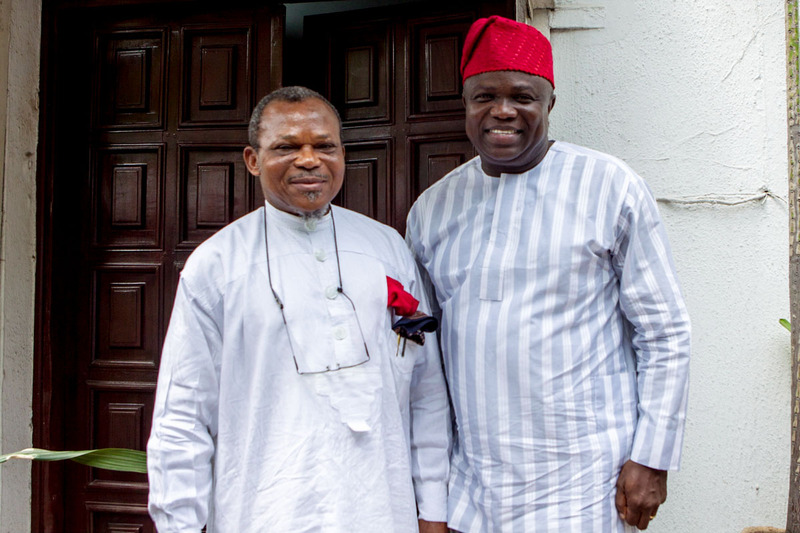 The Lagos state All Progressives Congress (APC) governorship candidate, Akinwunmi Ambode, today paid a courtesy visit to His Grace, Most Reverend (Dr.) Alfred Adewale Martins, the Archbishop of the Metropolitan See of Lagos, at the Catholic Mission House, Lagos. 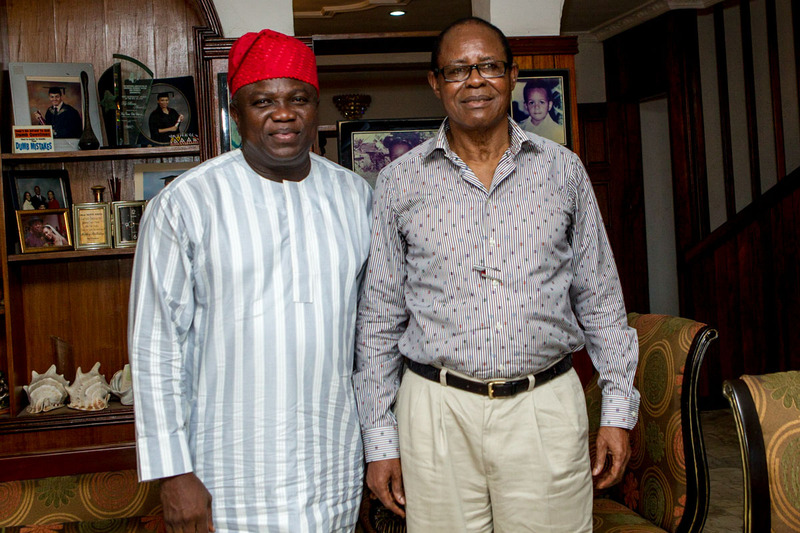 The candidate formally presented himself and his gubernatorial intentions to the respected Bishop of the Lagos Catholic family. 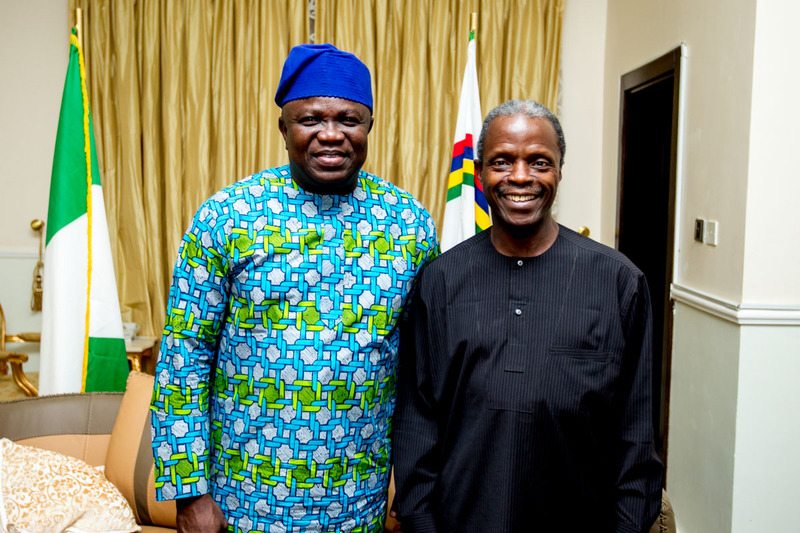 He also sought the prayers of His Grace for peace and victory in the forthcoming elections. 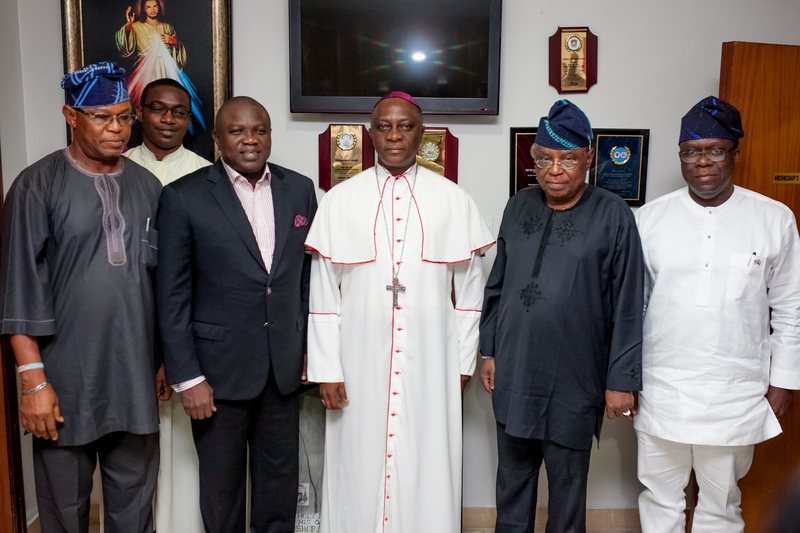 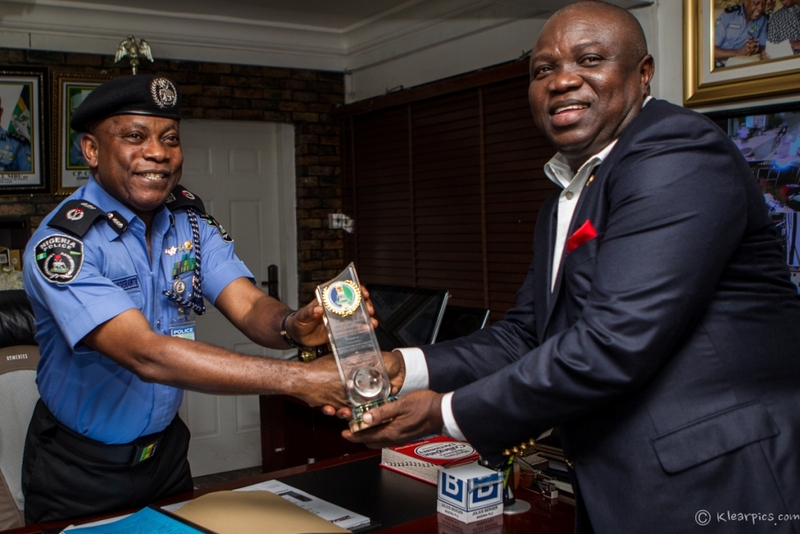 Present during the courtesy visit were the Chairman, Archdiocesan Laity Council of Lagos, Sir Folu Adekoya, the Secretary to the Archbishop, Reverend Father Nwosu, All Progressives Congress (APC) Governorship candidate for Lagos state, Mr. Akinwunmi Ambode, the Catholic Archbishop of Lagos, His Grace, Most Reverend (Dr.) Alfred Adewale Martins, the APC State Chairman, Chief Henry Ajomale, and the deputy Director-General of the Akinwunmi Ambode Campaign Organization, Mr. Adeniji Kazeem.